• The African Aviation Tribune •: ► NIGERIA: FirstNation Airways resumes operations with Lagos - Abuja flights. FirstNation was founded by the staff of Bellview Airlines (B3) in 2009 following that carrier's demise. 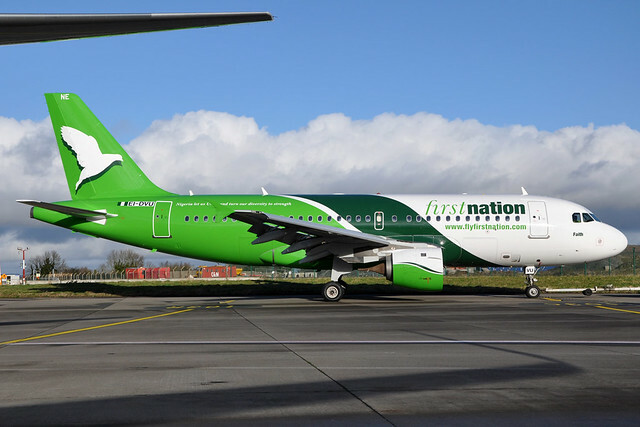 However, liquidity problems forced FirstNation to suspend flights last year after its fleet of three A320s was repossessed by lessors, the Aviation Capital Group.